Philip I Philadelphus was the fourth son of Antiochus VIII Grypus and his wife Tryphaena. 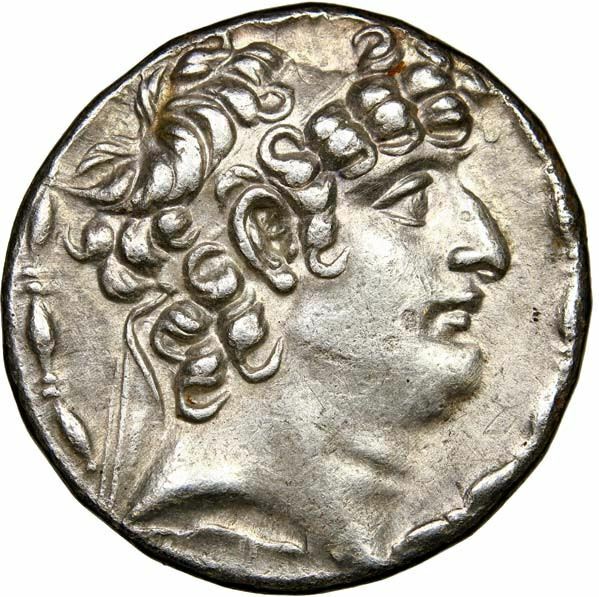 Philip I took the diadem in 95 BC together with his brother (probably twin) Antiochus XI Epiphanes, after the eldest son Seleucus VI Epiphanes was killed by their cousin Antiochus X Eusebes. He established himself in Antiochia after 92 BC and survived attacks from younger brother Demetrius III Eucaerus. His rule was ended in 83 BC when Tigranes of Armenia conquered Syria, or earlier. He disappears from history at that point, but coins bearing his portrait were issued by later Roman authorities.